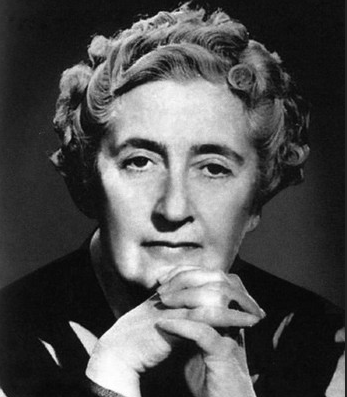 Dame Agatha Mary Clarissa Christie (15 September 1890 – 12 January 1976) was an English author of detective fiction. I like living. I have sometimes been wildly despairing, acutely miserable, racked with sorrow, but through it all I still know quite certainly that just to be alive is a grand thing. I have given them life instead of death, freedom instead of the cords of superstition, beauty and truth instead of corruption and exploitation. The old bad days are over for them, the Light of the Aton has risen, and they can dwell in peace and harmony freed from the shadow of fear and oppression. 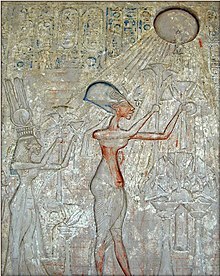 Akhenaten, as portrayed in Akhnaton (1937); Christie later revised the play slightly in 1972, and it was published in 1973. Everything must be taken into account. If the fact will not fit the theory — let the theory go. This is the first story featuring "Hercule Poirot". The intense interest aroused in the public by what was known at the time as “The Styles Case” has now somewhat subsided. Nevertheless, in view of the world-wide notoriety which attended it, I have been asked, both by my friend Poirot and the family themselves, to write an account of the whole story. This, we trust, will effectually silence the sensational rumours which still persist. The fellow is an absolute outsider, anyone can see that. He’s got a great black beard, and wears patent leather boots in all weathers! Blood tells — always remember that — blood tells. Ah, my friend, one may live in a big house and yet have no comfort. You give too much rein to your imagination. Imagination is a good servant, and a bad master. The simplest explanation is always the most likely. Now there is no murder without a motive. Yes, he is intelligent. But we must be more intelligent. We must be so intelligent that he does not suspect us of being intelligent at all. Two is enough for a secret. See you, one should not ask for outside proof — no, reason should be enough. But the flesh is weak, it is consolation to find that one is on the right track. For Poirot, uttering a hoarse and inarticulate cry, again annihilated his masterpiece of cards and putting his hands over his eyes swayed backwards and forwards, apparently suffering the keenest agony. I did not deceive you, mon ami. At most, I permitted you to deceive yourself. The happiness of one man and one woman is the greatest thing in all the world. "Nothing", I said sadly. "They are two delightful women!" "And neither of them is for you?" finished Poirot. "Never mind. Console yourself, my friend. We may hunt together again, who knows?" I have no pity for myself either. So let it be veronal. But I wish Hercule Poirot had never retired from work and come here to grow vegetable marrows. "Eh bien, Mademoiselle, all through my life I have observed one thing — 'All one wants one gets!' Who knows?" His face screwed itself up comically. "You may get more than you bargain for." “You have been to the Riviera before, Georges?” said Poirot to his valet the following morning. George was an intensely English, rather wooden-faced individual. Men are foolish, are they not, Mademoiselle? To eat, to drink, to breathe the good air, it is a very pleasant thing, Mademoiselle. One is foolish to leave all that simply because one has no money — or because the heart aches. L´amour, it causes many fatalities, does it not? I was wrong about that young man of yours. A man when he is making up to anybody can be cordial and gallant and full of little attentions and altogether charming. But when a man is really in love he can't help looking like a sheep. Now, whenever that young man looked at you he looked like a sheep. I take back all I said this morning. It is genuine. "I saw a particular personage and I threatened him — yes, Mademoiselle, I, Hercule Poirot, threatened him." "No," said Poirot drily, "With the Press — a much more deadly weapon." "Life is like a train Mademoiselle. It goes on. And it is a good thing that that is so." "Because the train gets to its journey's end at last, and there is a proverb about that in your language, Mademoiselle." "'Journeys end in lovers meeting'" Lenox laughed. "That is not going to be true for me." "Yes — yes, it is true. You are young, younger than you yourself know. Trust the train Mademoiselle, for it is le bon Dieu who drives it". I like to inquire into everything. Hercule Poirot is a good dog. The good dog follows the scent, and if, regrettably, there is no scent to follow, he noses around — seeking always something that is not very nice. From a distance he had the bland aspect of a philanthropist. Précisément! The body — the cage — is everything of the most respectable — but through the bars, the wild animal looks out. She shrugged her shoulders slightly. See you, my dear doctor, me, I am not one to rely upon the expert procedure. It is the psychology I seek, not the fingerprint or the cigarette ash. Tout de même, it is not necessary that he should be killed on the Orient Express. There are other places. “It makes me madder than a hornet to be disbelieved,” she explained. “Me, I am convinced it is the truth,” said M. Bouc, becoming more and more enamoured of his theory. I have the little idea, my friend, that this is a crime very carefully planned and staged. It is a far-sighted, long-headed crime. It is not — how shall I express it? — a Latin crime. It is a crime that shows traces of a cool, resourceful, deliberate brain — I think an Anglo-Saxon brain. It was abominable — wicked. The good God should not allow such things. We are not so wicked as that in Germany. Mon ami, if you wish to catch a rabbit you put a ferret into the hole, and if the rabbit is there he runs. That is all I have done. If you confront anyone who has lied with the truth, they usually admit it — often out of sheer surprise. It is only necessary to guess right to produce your effect. Exactly! It is absurd — improbable — it cannot be. So I myself have said. And yet, my friend, there it is! one cannot escape from the facts. But how much are the delicate convolutions of the brain influenced by the digestive apparatus? When the mal de mere seizes me I, Hercule Poirot, am a creature with no grey cells, no order, no method — a mere member of the human race somewhere below average intelligence! An Englishman thinks first of his work — his job, he calls it — and then of his sport, and last — a good way last — of his wife. Yes, a private investigator like my Wilbraham Rice. The public have taken very strongly to Wilbraham Rice. He bites his nails and eats a lot of bananas. I don’t know why I made him bite his nails to start with — it’s really rather disgusting — but there it is. He started by biting his nails, and now he has to do it in every single book. So monotonous. ‘If one approaches a problem with order and method there should be no difficulty in solving it — none whatever,’ said Pirot severely. There is no such thing as muddle — obscurity, yes — but muddle can exist only in a disorderly brain. Ah, but it is incredible how often things force one to do the thing one would like to do. Poirot twinkled at her gently. One has occasionally to pocket one’s pride and readjust one’s ideas. I have, perhaps, too professional a point of view where deaths are concerned. They are divided, in my mind, into two classes — deaths which are my affair and deaths which are not my affair — and though the latter class is infinitely more numerous — nevertheless whenever I come in contact with death I am like the dog who lifts his head and sniffs the scent. I don't pretend to be an author or to know anything about writing. I'm doing this simply because Dr Reilly asked me to, and somehow when Dr Reilly asks you to do a thing you don't like to refuse. That was the worst of Dr Reilly. You never knew whether he was joking or not. He always said things in the same slow melancholy way — but half the time there was a twinkle underneath it. Believe me, nurse, the difficulty of beginning will be nothing to the difficulty of knowing how to stop. At least that's the way it is with me when I have to make a speech. Someone's got to catch hold of my coat-tails and pull me down by main force. God bless my soul, woman, the more personal you are the better! This is a story of human beings — not dummies! Be personal — be prejudiced — be catty — be anything you please! Write the thing your own way. We can always prune out the bits that are libellous afterwards! I don't think I shall ever forget my first sight of Hercule Poirot. Of course, I got used to him later on, but to begin with it was a shock, and I think everyone else must have felt the same! I don't know what I'd imagined — something like Sherlock Holmes — [...] Of course, I knew he was a foreigner, but I hadn't expected him to be quite as foreign as he was, if you know what I mean. When you saw him you just wanted to laugh! He was like something on the stage or at the pictures. [...] He looked like a hairdresser in a comic play! How true is the saying that man was forced to invent work in order to escape the strain of having to think. “There’s no reason why women shouldn’t behave like rational beings,” said Simon stolidly. But to succeed in life every detail should be arranged well beforehand. It was a very British and utterly unconvincing performance. “You do well. Method and order, they are everything,” replied Poirot. I’m used to that. It often seems to me that’s all detective work is — wiping out your false starts and beginning again. Once I went professionally to an archaeological expedition--and I learnt something there. In the course of an excavation, when something comes up out of the ground, everything is cleared away very carefully all around it. You take away the loose earth, and you scrape here and there with a knife until finally your object is there, all alone, ready to be drawn and photographed with no extraneous matter confusing it. That is what I have been seeking to do--clear away the extraneous matter so that we can see the truth--the naked shining truth. And Mr. Burnaby said acutely: "Well, it doesn't seem to have done her much good, poor lass." But after a while they stopped talking about her and discussed instead who was going to win the Grand National. For, as Mr. Ferguson was saying at that minute in Luxor, it is not the past that matters but the future. Pilar sat squeezed up against the window and thought how very odd the English smelt. The character of the victim has always something to do with his or her murder. He is like a cat. And all cats are thieves. The crime is now logical and reasonable. Elinor was still staring at this missive, her plucked brows drawn together in distaste, when the door opened. The maid announced, "Mr Welman," and Roddy came in. Roddy! As always when she saw Roddy, Elinor was conscious of a slightly giddy feeling, a throb of sudden pleasure, a feeling that it was incumbent upon her to be very matter-of-fact and unemotional. Because it was so very obvious that Roddy, although he loved her, didn't feel about her the way she felt about him. The first sight of him did something to her, twisted her heart round so that it almost hurt. Absurd that a man - an ordinary, yes, a perfectly ordinary young man - should be able to do that to one! That the mere look of him should set the world spinning, that his voice should make you want - just a little - to cry. Love surely should be a pleasurable emotion - not something that hurt you by its intensity. One thing was clear: one must be very, very careful to be off-hand and casual about it all. Men didn't like devotion and adoration. Certainly Roddy didn't. There is always something about conscious tact that is very irritating. Is it coding — or code breaking? Is it like Deborah’s job? Do be careful, Tommy, people go queer doing that and can’t sleep and walk about all night groaning and repeating 978345286 or something like that and finally have nervous breakdowns and go into homes. ‘I have often noticed that being a devoted wife saps the intellect,’ murmured Tommy. Flattery, in Tuppence’s opinion, should always be laid on with a trowel where a man is concerned. ‘You’re frightfully BBC in your language this afternoon, Albert,’ said Tuppance, with some exasperation. Albert looked slightly taken aback and reverted to a more natural form of speech. ‘I was listening to a very interesting talk on pond life last night,’ he explained. Like most Englishmen, he felt something strongly, and proceeded to muddle around until he had, somehow or other, cleared up the mess. I could think of nothing more insufferable than members of one’s own gang dropping in full of sympathy and their own affairs. Freckles are so earnest and Scottish. Quite absurd, because Caleb has absolutely no taste for fornication. He never has had. So lucky, being a clergyman. Work, Mr. Burton. There’s nothing like work, for men and women. The one unforgivable sin is idleness. To commit a successful murder must be very much like bringing off a conjuring trick. “It makes her rather alarming,” I said. “Sincerity has that effect,” said Miss Marple. Miss Marple twinkled at me. Because, Renisenb, it is so easy and it costs so little labour to write down ten bushels of barley, or a hundred head of cattle, or ten fields of spelt - and the thing that is written will come to seem like the real thing, and so the writer and the scribe will come to despise the man who ploughs the fields and reaps the barley and raises the cattle - but all the same the fields and the cattle are real - they are not just marks of inks on papyrus. And when all the records and all the papyrus rolls are destroyed and the scribes are scattered, the men who toil and reap will go on, and Egypt will still live. "You know that in all tombs there is always a false door?" Renisenb stared. "Yes, of course." "Well, people are like that too. They create a false door - to deceive. If they are conscious of weakness, of inefficiency, they make an imposing door of self-assertion, of bluster, of overwhelming authority - and, after a time, they get to believe in it themselves. They think, and everybody thinks, that they are like that. But behind that door, Renisenb, is a bare rock … And so when reality comes and touches them with the feather of truth - their true self reasserts itself." "It is the kind of thing that happens to you when you are stupid," said Esa. "Things go entirely differently from the way you planned them." Let us think only of the good days that are to come. It's as easy to utter lies as truth. Men are made fools by the gleaming limbs of women, and, lo, in a minute they are become discolored carnelians. A trifle, a little, the likeness of a dream. And death comes as the end. Proof must be solid break walls of facts. Handsome, strong, gay … She felt again the thro and lilt of her blood. She had loved Kameni in that moment. She loved him now. Kameni could take the place that Khay had held in her life. She thought: "We shall be happy together - yes, we shall be happy. We shall live together and take pleasure in each other and we shall have strong, handsome children. There will be busy days full of work … and days of pleasure when we sail on the River...Life will be again as I knew it with Khay...What could I ask more than that? What do I want more than that?" She broke off, unable to find words to frame her struggling thoughts. What life would be with Hori, she did not know. In spite of his gentleness, in spite of his love for her, he would remain in some respects incalculable and incomprehensible. They would share moments of great beauty and richness together - but what of their common daily life? "I have made my choice, Hori. I will share my life with you for good or evil, until death comes..." With his arms round her, with the sudden new sweetness of his face against hers, she was filled with an exultant richness of living. I must have a talk with you, David, and learn all the new ideas. As far as I can see, one must hate everybody but at the same time give them free medical attention and a lot of extra education, poor things! All those helpless little children herded into schoolhouses every day — and cod liver oil forced down babies’ throats whether they like it or not — such nasty-smelling stuff. John, forgive me... for what I can't help doing. And if you cast down an idol, there's nothing left. Weak and kindly people are often very treacherous. And if they’ve got a grudge against life it saps the little moral strength that they may posses. I think perhaps it wasn’t a good idea to read aloud Gibbon to me in the evenings, because if it’s nice and hot by the fire, there’s something about Gibbon that does, rather, make you go to sleep. It’s so messy bleeding like a pig. He could have shot her from behind a hedge in the good old Irish fashion and probably got away with it. “No,” said Miss Marple. “Murder isn’t a game. One forgets how human murderers are. It all came together then, you see — all the various isolated bits — and made a coherent pattern. What any woman saw in some particular man was beyond the comprehension of the average intelligent male. It just was so. A woman who could be intelligent about everything else in the world could be a complete fool when it came to some particular man. How averse human beings were ever to admit ignorance! It shows you, Madame, the dangers of conversation. It is a profound belief of mine that if you can induce a person to talk to you for long enough, on any subject whatever, sooner or later they will give themselves away. The tear rose in Miss Marple's eyes. Succeeding pity, there came anger - anger against a heartless killer. And then, displacing both these emotions, there came a surge of triumph - the triumph some specialist might feel who has successfully reconstructed an extinct animal from a fragment of jawbone and a couple of teeth. Written under the pen name Mary Westmacott. “They’re beautiful,” said Laura politely. Children and one’s social inferiors never know when to say good-bye. One has to say it for them. They have, all of them, such wonderful good manners. Not taught good manners — the natural thing. I could never have believed till I came here that natural courtesy could be such a wonderful — such a positive thing. I can imagine anything! That's the trouble with me. I can imagine things now — this minute. I could even make them sound all right, but of course none of them would be true. It would be difficult Bland thought, to forget Hercule Poirot, and this not entirely for complimentary reasons. What else will you have? Nice banana and bacon sandwich? What beats me — it always does — is how a man can be so clever and yet be such a perfect fool. I have a certain experience of the way people tell lies. "Well", said Miss Marple. "Are you going to let her get away with it?" There was a pause, then Father brought down his fist with a crash on the table. "No", he roared — "No, by God I'm not!" Miss Marple nodded her head slowly and gravely. "May God have mercy on her soul," she said. The reason he liked attending rich patients rather than poor ones was the he could exercise his active imagination in prescribing for their ailments. She came in with coffee and biscuits at half-past eleven with her mouth pursed up very prunes and prisms, and would hardly speak to me. The old, you must remember, though considered incapable of action, have nevertheless a good fund of experience on which to draw. It merely confirmed in him his long-held belief that you should never believe anything anyone said without first checking it. Suspect everybody, had been for many years, if not his whole life, one of his first axioms. Mrs. Oliver in her own opinion was famous for her intuition. One intuition succeeded another with remarkable rapidity, and Mrs. Oliver always claimed the right to justify the particular intuition which turned out to be right! It was the technique of a man who selected thoughts as one might select pieces of a jigsaw puzzle. In due course they would be reassembled together so as to make a clear and coherent picture. At the moment the important thing was the selection, the separation. “I am sitting in this char,” said Poirot. “Thinking,” he added. “Is that all?” said Mrs. Oliver. “It is the important thing,” said Poirot. In my end is my beginning — that's what people are always saying. But what does it mean? Without interest (hers not the type to wonder why!) but with perfect efficiently, Miss Lemon had fulfilled her task. Take this Hercules — this hero! Hero, indeed! What was he but a large muscular creature of low intelligence and criminal tendencies! Even the sensible and the competent have been given tongues by le bon Dieu — and they do not always employ their tongues wisely. He had not remembered her name, but he had seen her dance — had been carried away and fascinated by the supreme art that can make you forget art. On the seat opposite him was an American tourist. The pattern of his clothes, of his overcoat, the grip he carried, down to his hopeful friendliness and his naïve absorption in the scenery, even the guidebook in his hand, all gave him away and proclaimed him a small town American seeing Europe for the first time. In another minute or so, Poirot judged, he would break into speech. His wistful dog-like expression could not be mistaken. They swerved around. Schwartz, dressed in a peculiarly vivid set of striped pyjamas stood in the doorway. In his hand he held an automatic. He pressed the trigger — and a bullet sang past the big man’s ear and buried itself in the woodwork of the window. Three pairs of hands were raised rapidly. Words had become to him a means of obscuring facts — not of revealing them. He was an adept in the art of the useful phrase — that is to say the phrase that falls soothingly on the ear and is quite empty of meaning. Harold Waring, like many other Englishmen, was a bad linguist. It is the misfortune of small, precise men always to hanker after large and flamboyant women. But when investing money, keep, I beg of you, Hastings, strictly to the conservative. They are so busy knocking that they do not notice that the door is open! Remember, he was a fanatic, and there is no fanatic like a religious fanatic. Never mind. I knew — that was the great thing. Never do I deceive you, Hastings. I only permit you to deceive yourself. You have an excellent heart, my friend — but your grey cells are in a deplorable condition. Not if the butcher had become a butcher simply in order to have a chance of murdering the baker. One must always look one step behind, my friend. I aroused Judith’s contempt by asking what good all this was likely to do to mankind? There is no question that annoys your true scientist more. This, Hastings, will be my last case. It will be, too, my most interesting case — and my most interesting criminal. I have no more now to say. I do not know, Hastings, if what I have done is justified or not justified. No — I do not know. I do not believe that a man should take the law into his own hands... But on the other hand, I am the law! As a young man in the Belgian police force I shot down a desperate criminal who sat on a roof and fired at people below. In a state of emergency martial law is proclaimed. Plymouth, Gwenda thought, as she moved forward obediently in the queu for Passports and Customs, was probably not the best of England. Well, of course, Gwenda dear, you can always do that when you’ve exhausted every other line of approach, but I always think myself it’s better to examine the simplest and most commonplace explanations first. It’s not impossible my dear. It’s just a very remarkable coincidence — and remarkable coincidences do happen. These little things are very significant. Murder isn’t — it really isn’t — a thing to tamper with lightheartedly. It really is very dangerous to believe people. I never have for years. Christie denied having made this remark, which had been attributed to her by her second husband Sir Max Mallowan in a news report (9 March 1954); according to Nigel Dennis, "Genteel Queen of Crime: Agatha Christie Puts Her Zest for Life Into Murder", Life, Volume 40, N° 20, 14 May 1956, she was quoting "a witty wife"; Quote Investigator reports on "An Archaeologist Is the Best Husband a Woman Can Have" as of uncertain origin. This page was last edited on 17 September 2018, at 18:36.